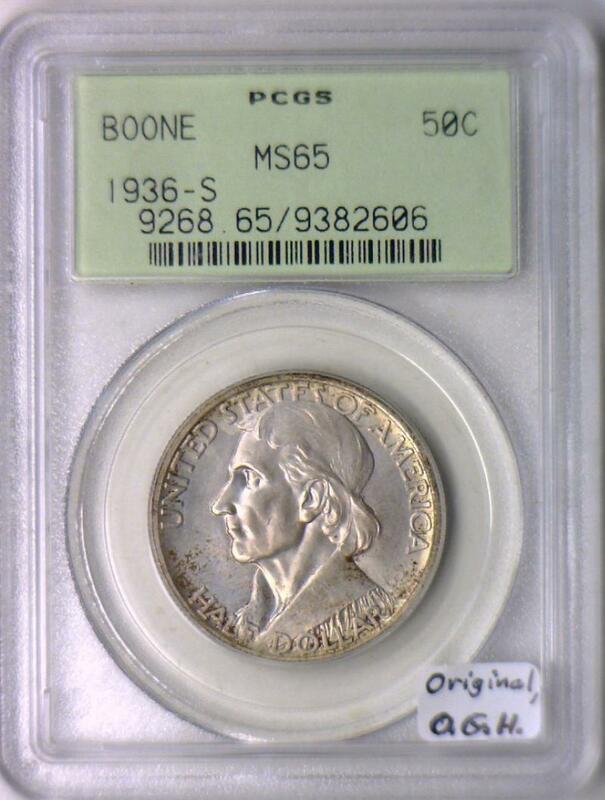 Numismatic Classics Item: 335504 -- 1936-S Boone Commemorative Half Dollar PCGS MS-65; Original, O.G.H. Mintage of only 5,006 on this pleasing classic commem! Housed in an old green PCGS holder.